Are you anxious? Forget succeeding. You don’t have to, succeed. Enjoy the ride, anyway. So, you tried your honest and sincere best and you still didn’t succeed. One, of the great fresh thoughts of Chassidus, is that a person doesn’t always require success. Chassidus helps a person see life through a humble lens and the results in life are not always supposed to be the way I need it to be, or how I believe it should be. “It is not upon you to bring everything to its conclusion, and you are not free to desist from putting in an effort to make it work.” G-d judges us, and HE does respond to us, according to our choices and our sincere efforts towards that end. One of the highest psychological conditions these days is anxiety. And then, too much anxiety leads to stress and medical conditions of the heart and of the mind, not to speak of depression etc. We are so pressured not to be a looser amongst our peers, many will compromise their ethics, morals, religion, family life, and much more. People come home all stressed out and lash out at their spouse, children, and undermine a most important components to a well-rounded, happy, meaningful, fulfilled, life. One of the contributing factors to exacerbate this condition and phenomenon is the self-help industry. They will tell you, it’s all up to you. If you do this and do that you are guaranteed success. This only guarantees the majority who can’t ever make it to the winning position, despondency, heart break, let down, and anxiety. They will ask themselves. So, I did everything right. Why didn’t I win the gold medal of my class, or the silver medal of my circle of friends, or even the copper medal amongst my surroundings? They will be back for more self-help motivation since they were told success is the goal within reach of everyone, only to go around the cycle again and again until exhaustion sets in. Then there are those who didn’t make proper choices and created the undesirable consequences. How does Chassidus view these people at the moment of what appears to be genuine failure. Since everything is for the good, now that one realizes his/her mistake and sincerely intends to mend their ways, through the G-dly act of Teshuvah, returning back to the proper way of thinking and behaving, the correct path, through THIS connection with G-d, the person can retroactively accomplish what is otherwise impossible, and draw from the current situation what appears as negative, the blessing and good, implanted in “this too is for the good.”. Chassidus tunes and trains the individual to hear the music and positive melody in all circumstances, it’s just a matter of putting on the proper colored lens over the eyes of our minds. Lest anyone think the Bible as taught by the presentation of Chassidus is all about determinism or fatalism and similar philosophical ideas, Rabbi Yoseph Yitzchok reminds us, regarding the philosophy and teachings of Chassidus, the following. As the quote earlier instructs us, we can never desist in putting in a genuine effort. Every time we try, and we try again, we are refining, and strengthening ourselves, further and further. Every time one starts all over again in full trust that G-d will come through for them, they are closer and closer to reaching their goal with the help of G-d. If G-d decides to grant them their effort they are blessed, and if not, they are also blessed. 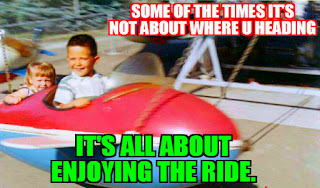 The fun is, in having taken the journey, and enjoying all the wonderful surprises along the ride. Prayer. The world needs lots of it. The transformational powers of prayer. How to reach G-d, and get results. Knowledge is Power. G-dly Knowledge is super Power. Once a student follower of Rabbi Menachem Mendel of Kotzk; 1787 -1859 Poland, came to visit his spiritual mentor and guide. The Rabbi of Kotzk asked him to share an inspiration from his father in law who was a well know author of Torah studies. “My father in law would say. When Aaron the great priest lost his two sons on the day the sanctuary was dedicated, the Bible says, “Aaron was silent”. His response to this terrible catastrophe was to recognize the hopelessness of a human, to ever understand the ways of an infinite G-d. His reaction to this event, and his response or lack of it to G-d, was greatly praised. Normally Angels, who are completely spiritual, would be coming down from heaven and then bringing back a report to G-d? When a person prays, and he/she vocalizes their praise, their needs, their thanks to G-d…. this creates a real spiritual energy similar to neuro transmitters. These are the Angels, who are the results of this expression in the heart and it is them that bring the prayer before G-d. Therefore the Angels which were created by Jacobs’s prayers, were moving upwards having started from Jacob, in order to bring from the source of all the blessings, up in heaven, what is necessary down here in this world. The ladder of prayer that reaches high up in the heavens, must start down in the earth. In the code of Jewish law it is written, “A person should not approach his prayers, but only with a bent over head.” An outstretched head exudes arrogance; a bent over head represents humility. The ladder in Jacobs dream had four rungs. The first step in approaching G-d is, acknowledgement. Realizing, as hard as we try, in the end we are not self-made. Realizing, it is G-ds input and influence that finally creates the results we seek. We don’t control the crazies in the world, or the price of oil, or the weather, or the desire of someone else to compete with our source of income. We acknowledge G-ds power over everything and thank Him for all His Kindness. The next step in proper prayer, that accomplishes a transformation in an individual, in other words, the person benefited from praying, is the emotional excitement over the special opportunities G-d grants us every day that He has faith in us and wakes us. We hear the melody in the Universe, the beauty of existence, and we sing along. The third step as designed by the great Spiritual giants of the great assembly, headed by the prophet Ezra, is moving up from emotional excitement to intellectual appreciation. Here we recite the passage, which is a commandment and a serious source of strength from G-d, “Hear O Israel, G-d our G-d, G-d is one.” We involve our mental capacities in connecting ourselves with the awareness, that all is G-d. How we feed our mind ends up becoming who we are. When one contemplates deeply on the Oneness of G-d, and that there is nothing else besides Him, this takes us to the Heavens with the fourth rung. At the fourth level of prayer, we are standing with our entire being and presence before G-d, totally connected to His, awareness. When two people in any relationship are so close to each other, it is natural each one feels for the other and will do whatever possible for the other. This is the fourth level where we ask for what we need. Knowledge is power -- G-dly Knowledge is Super Power. 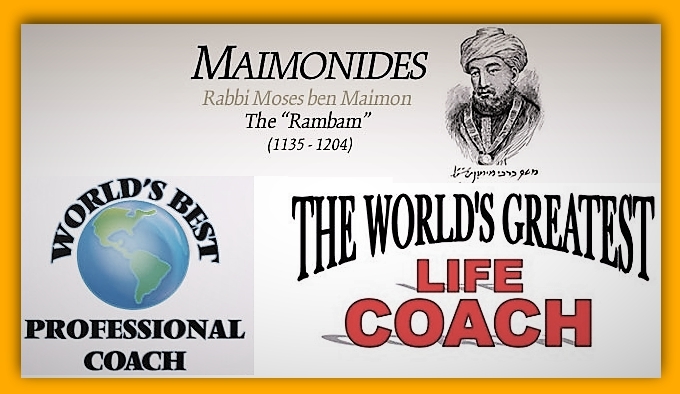 Moshe ben Maimon, called Moses Maimonides and also known as RaMBaM (רמב"ם – Hebrew acronym for "Rabbi Moshe Ben Maimon"), was a preeminent medieval Jewish philosopher, and one of the most prolific and followed Torah scholars and physicians of the Middle Ages. He was born in Córdoba, Almoravid Empire (present-day Spain) on Passover Eve, 1135, and died in Egypt on 20th Tevet, December 12, 1204. He was a rabbi, personal physician to the Sultan and philosopher, in Morocco and Egypt and was buried in Tiberius Israel. 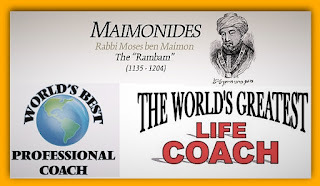 One of the greatest works of Maimonides, actually one of the greatest philosophic works of all time is his “Guide for the Perplexed” and his 14 volume Magnum opus work on Jewish Law, “The Strong Hand”, Mishneh Torah. The following, are life lessons, taken directly from the words of this great scholar and spiritual giant. These are teachings that are extraordinary and are unparalleled by anything contemporary. These are the ultimate words of excellent counsel and guidance. How to pray? Who needs to pray? First ….praise, then…. petition, finally….praise and thanks. ……this commandment (to pray ) obligates each person to offer supplication and prayer every day and utter praises of the Holy One, blessed be He; then petition for all his needs with requests and supplications; and finally, give praise and thanks to God for the goodness that He has bestowed upon him; each one according to his own ability. A person who was eloquent would offer many prayers and requests. [Conversely,] a person who was inarticulate would speak as well as he could and whenever he desired. 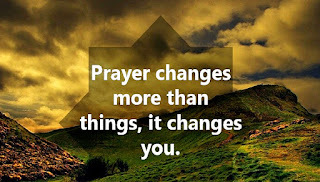 Similarly, the number of prayers was dependent on each person's ability. Some would pray once daily; others several times………..
People don’t always state the accurate facts of truth. ….As mentioned, witnesses who are hidden cannot give binding testimony, and similarly, when a person admits a debt on his own initiative while witnesses are listening, or a person tells a colleague in the presence of witnesses: "You owe me a dollar" and the colleague admits the obligation, the testimony of the witnesses is not significant. Nevertheless, in all these situations, when the principals come to the court, we tell the defendant: "Why don't you pay the debt you owe him?" Those who can rebuke and don’t…..
take part of the blame for the offences of others. as if he caused him to sin. Included in this sin are also all those who have the potential to rebuke others, whether an individual or a group, and refrain from doing so, leaving them to their shortcomings. ……Even when her husband is very wealthy and even when the woman has several maids, she may not sit idle, without work. For idleness leads to lewdness. [Her husband] may not, however, compel her to work for the entire day. Instead, according to the extent of his wealth, her obligation to work is minimized. …….When a man takes a vow that prevents his wife from doing any work at all, he is obligated to divorce her and pay her [the money due her by virtue of her] ketubah/marriage contract. [The rationale is that] idleness leads to lewdness. Husband and wife are ONE entity…….Legally and spiritually. …………Whenever a person is disqualified from testifying on behalf of a woman, he is also disqualified from testifying on behalf of her husband, for a husband is considered like his wife. Conversely, whenever a person is disqualified from testifying on behalf of a man, he is also disqualified from testifying on behalf of his wife, for a wife is considered like her husband.